The Magyar rovás make up an alphabet of 40 letters, plus several ligatures or letters representing consonant clusters or syllables. Some 24 rovás are similar to Vinča signs, to Germanico runes, to letters of the Asiatic runic scripts, to letters of the earliest Italic and Helladic alphabets. Some 16 letters appear to be later additions: they are rounded and/or do not comply with the 5 rules of the runic scripts (see page 45 of the book) and/or are not similar to Vinča or later European signs. These 16 letters were added to the rovás in Central Asia, when the Magyars were no longer carving hard materials, but drawing on parchment, as the Parthians did. Out of the 24 letters that are similar to Germanico runes, 16 appear to be very similar, but some 8, which could correspond to signs added by the Celts to represent their Indo-European phonemes, are not. In particular, the phoneme [θ] was written in the North and is kept in Irish; but it was written in the south and, still similar, is kept in Greek. The Germanico runes and the Magyar rovás could both have an ancestor in an earlier 16-letter alphabet. In fact, the original 16-letter Flavio *VUARK, but also the *Pannonico alphabet, can be easiliy reconstructed by comparing the rovás and the runes with some of the most ancient alphabets: Esik, Lemnos, Camuni, Veio, Marsiliana, and the Venetic and Athenian alphabets. The Esik, Lemnos, and Camuni alphabets remain so far undeciphered. The Esik and Lemnos alphabets appear to be congruent with the limited Finno-Ugric phonology: the Esik alphabet does not contain any of the characters added in Europe by the Germans and the Celts; the Lemnos alphabet only contains some of them. These three isolate alphabets have kept some of the most ancient *VUARK characters. In Esik (nearby ‘Alma Ata’ = ‘Mother/Father of Apple’, Hungarian name of the former capital city of Kazakhstan), in the grave of an Amazon Shaman Princess (J. W. Jay) buried with a rich treasure, an inscription on a silver bowl was found. The grave has been dated back to the 5th century B.C. The characters that make up this inscription consist of: 12 characters identical to 12 Flavio *VUARK characters, two *characters identical to another two of the *VUARK, and a few possible ligatures. This inscription cannot be Phoenician or Greek because some of its characters and legatures have never been written around the Mediterranean Sea (except along the western shores of the Adriatic Sea, where Pannonico populations are supposed to have migrated from Illyria). Instead, these characters and ligatures do appear in later alphabets of the Turanian plains, in the Siberian rovás, in the Magyar rovás, in the Nü Shu syllabary (Yunnan, China), and in the Kaganga script (Sumatra) (see the book ‘Honfoglalás… the Magyars are back home’ for other cultural markers that link all these regions). The Esik script contains no characters at all that resemble any Indo-European addition: the Hungarian population that migrated to Esik could have been able, while in Europe, to keep itself separated from the Celts. When the Camuni alphabets were carved, the Indo-European phonemes had already been added; but the corresponding characters were different from both those used in the Germanico runes and in the Magyar rovás. The Camuni alphabets prove that the Germanico and the Pannonico were alternative characters for the same [a] phoneme. In Roman time, the [a] was still written in Aquincum (Magyar Nemzeti Museum, Lapidarium). The Camuni alphabets had a letter between D and E that also the Ugaritic abjad had, in the same position. 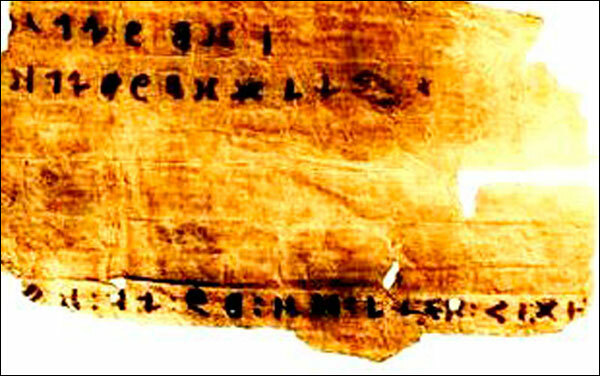 This letter had disappeared from all European alphabets in the beginning of the 1st millennium B.C. (or had been moved between N and O, as it also happened in Phoenicia!). The Camuni alphabets also show an ideogram, which was copied in the Ugaritic abjad, but was never transliterated by the Semites. The Camuni alphabets have characters that do appear in the Ugaritic script, but do not appear in the Phoenician abjad. Thus, it is impossible that the Camuni alphabets could have been copied from the Phoenicians, and it would be nonsense to say that it was copied from the Romans! Instead, it is possible that the Ugaritics could have copied from Europe alphabets with features of the Camuni ones. The Veio and Marsiliana alphabets have been found in Etruria: these two alphabets were not (not) Etruscan alphabets: the Etruscans never, or only occasionally, used some 8 letters of these alphabets. The Etruscans never added the Indo-European phonemes to their alphabet: some exceptions were graphically and phonetically unstable in time and space (the characters and the associated phonology changed with time, and from one region to another), in most cases different from the Phoenician letters, and in some cases different from any other known script (e.g. : 8 for [f]). The Marsiliana and Veio alphabets could be Pannonico alphabets, a few centuries older than their official dating (8th-7th century B.C. ): in fact, they are more similar to the alphabet that the Ugaritics could have copied than to the later Phoenician abjad (see table 60 of the book). The Germanico runes consisted of 24 letters. Eight of them were not stable in space and time and/or do not comply with the rules of the runes. The remaining 16 runes, more stable in time and space, represent the 16 phonemes that are still peculiar to the Finnish alphabet. The phonemes [b], [d], [γ], [w], [z], [f], [θ], (and probably [o] in ancient times) are not used, even these days, in words of Finnish origin. These phonemes were added by the Germans and correspond to the 8 letters that are graphically and phonetically unstable in time and space in the many different European runic scripts. When the German populations left Scandinavia, the Vikings started writing again with a 16-letter alphabet, congruent with a limited, Finno-Ugric, phonology. All (all) the earliest European alphabets, including the most ancient Athenian and Etruscan ones, the Linear B, and the Cypriot syllabary (Facchetti, Kirkhoff, ancient scripts.com, et alia), only had the letters needed to represent those Finno-Ugric 16 phonemes. Tocharian, the so-called ‘Indo-European’ language of the Tarim Basin, (possibly an intertwined language Hungarian/Gandhara Sanskrit), also had a limited phonology (Wikipedia). Hungarian also, in ancient time, was lacking the [b], [d], [γ] phonemes (M. Alinei). Ancient agglutinative languages, including Sumerian according to some scholars, had (and several ones still have) a limited phonology. All the ancient European alphabets therefore derive from an original 16-letter European alphabet. The letters for the Indo-European phonemes were added later on, when the Indo-Europeans had learnt how to write. Both the Germanico runes and the Magyar rovás derive from an earlier, pre-Indo-European 16-letter *VUARK alphabet congruent with the ancient Finno-Ugric phonology, and were made up with characters identical or similar to Vinča signs. The European scripts later inherited these same *VUARK letters, with the same original phonetic values. (See table 43 of the book, which shows that all (all) the original letters of the *VUARKs and of the *Pannonico alphabet were later used by the most ancient European alphabets). The Flavio *VUARK could have been brought to the shores of the Baltic Sea by those Hungarian populations that migrated from the Carpathian Basin northwards at the beginning of the 2nd millennium B.C.. (See the book ‘Honfoglalás… the Magyars are back home’, page 85). The Flavio *VUARK evolved in two different scripts: Pannonico *VUARK (from which the Magyar rovás derived) and Finnic *VUARK (from which the Germanico runes derived). There are only a few letters which make the difference between these two *VUARKs. Astonishingly, the Magyar rovás, the Mother of all alphabets, kept both variations (and also variations which shall appear in Southern Europe): and ; and ; and ; and , and ; and …. up until the 19th century A.D..
All the ancient alphabets quoted in the book had a feature in common: none of them was ever designed with any horizontal stroke. Such a strict rule could only be a religious dictate. Note also the many multiples of 8 for the number of letters of ancient alphabets (16, 24, 40). In any case, a ‘reconstruction’, be it linguistic or historical, is pure speculation as long as a proof of its existence, at the supposed time, is not found. The Ugaritic abjad (abjad = consonantal alphabet, without vowels) is written in cuneiform. Cuneiform was not in the tradition of the region. The local writing tradition is that of Byblos, (undecyfered), which, nevertheless, appears to have already borrowed several rovás and/or Vinča signs in the 19th century B.C. (see table 49, proel.com). The Ugaritic script is written from left to right in a region that always, and until these days, writes right to left. In Beth Shemesh (Israel) also, the Ugaritic script was used; but it had been modified to become a right to left script, modified to fit the local tradition. The Ugaritic abjad contains letters for vowels: the Semites did not use the vowels of the Ugaritic script and still these days do not use vowels in their scripts. The Ugaritic characters that corresponded to vowels in Europe were used by the Semites as semivowels or laryngeals; the letters for [i] and [u] were not even ever transliterated. The three vowel characters used by the Ugaritics were only used in foreign words. No Northern Semitic script has ever transliterated eight letters of the Ugaritic script: they were alien phonemes, vowels, or ideograms (see table 55, Proel.com). Who would ever design an alphabet including letters that would never be used? The letter order of the Ugaritic abjad is not the traditional Semitic letter order – h, l, h, m… The Beth Shemesh alphabet was also modified in order to have a Semitic letter order. The Ugaritic abjad was alien to the region in which it was written: this is why it had a short life: 2 centuries. The Ugaritic abjad cannot have been designed in Phoenicia. The Ugaritic abjad was an attempt at writing the *Pannonico alphabet by using the cuneiform writing technique borrowed from the Acadians. It could have even been originally a secret script to be used between Pannonico traders and a friendly Levantine population (or a Pannonico ‘Middle East settlement’): in fact, the Pannonici would have easily understood it and the Levantines would have used their clay tablets and their writing techniques. The encryption key was very efficient: nobody has found it during 3,300 years! It is not me the monster, but all those who looked not attentively at the Ugarit tablet because it could not serve their causes. If you attentively look at the tablet, you easily see how similar it is to the ancient European scripts! In the 11th century B.C., the Phoenicians converted again the cuneiform script into linear, using the reverse key and rules that had been used to transcribe the *Pannonico alphabet into Ugaritic: in fact, they left in the Phoenician abjad the same scribal mistakes that appear in the Ugaritic abjad: the B has only one hump. Such a B, with a single hump, was never copied by any ancient European script. Nor the head of the ox (aleph) was ever copied by the Europeans (except the Athenians. See page 59 of the book for the origin of the A). Nor the C… Et cetera. The Greeks only ‘copied’ letters that they already used! The Greeks did not copy the Phoenician abjad. The Athenians and the Lemnos peoples used the 16-letter alphabet as long as they were allowed to speak and write their own language, until the beginning of the first millennium B.C. : only at that time the letters needed to represent Indo-European phonemes started appearing in Greece (Kirkhoff). The Greeks did not need to invent the vowels. In fact, the vowels existed already in the Old European *Pannonico alphabet: so much so that the Ugaritics did copy the vowels from the *Pannonico, but did not use them. The Semites used some of them as semivowels or laryngeals. They never transliterated the signs for [i] and [u]. The Europeans did not copy their alphabets from the Phoenicians; but the Phoenicians, the Greeks, and the Etruscans did copy the European *Pannonico alphabet. The reconstructed *Pannonico alphabet did exist: in fact, the Ugaritics copied it in the 14th century B.C.. Vasil Ilyov has compiled a table in order to show the derivation of the Cyrillic alphabet from the Vinča signs (he is correct: all alphabets came from there!). The table proves that in Macedonia (region of the Vinča Culture), between 1650 and 1200 B.C (the time in which the *Pannonico was brought to Ugarit) all the characters of the *Pannonico alphabet were written in the local inscriptions. Gimbuteniė was right: the Vinča signs were, or generated, the ‘Old European’ script. The Flavio *VUARK, which was the Mother of all other alphabets, derived from the Vinča signs. Most of the letters of the *VUARK survived in the Futhark and in the Magyar rovás, and most, modified by the time, still survive in the Roman alphabet that we all use every day. The Hungarians were in Europe in the 14th century B.C.. (See ‘Honfoglalás… the Magyars are back home’). They brought the 16-letter Flavio *VUARK alphabet to Northern Europe, where it evolved as Germanico runes. They also brought the *Pannonico alphabet to Central Asia, where it evolved as Magyar rovás, and other Asiatic scripts. The Europeans, who had an alphabet before the Indo-Europeans arrived in Europe, spoke agglutinative languages with a limited phonology. The Finno-Ugric substratum is responsible for most of the phonetic mutations in ancient Europe (see a further book). Gimbuteniė correctly described the ‘Old European’ society: matriarchal, egalitarian, peace loving… She only made a mistake: those populations were not nomadic, war faring, pastoralist Indo-Europeans; they were sedentary, democratic, peace loving Hungarians. The Hungarians are the most ancient population that shows up in the History of Humanity, with an alphabet, and maybe with a script (the Tatarlaka tablet). (The only other origin being hypothesised in order to unveil the ‘mystery’ of the Ugaritic script is that of a derivation from the Levantine Bronze Age scripts (proto-Canaanite and proto-Synaitic). This hypothesis is maintained (jointly!) by Jewish, Christian, and Lebanese (Islamic) scholars and Ministers of faith attempting to prove the historicity of the Bible by means of the Ugaritic literature, in view of a possible final theory by which the Bible was not an oral heritage, but it was written in Proto-Canaanite. The clues which would support this theory are: the proto-Canaanite/Synaitic signs were used in the same region in which the Ugaritic script was written; the Ugaritic script was also used for writing a Canaanite language; the names of the Phoenician letters were copied by the Greeks (this may be true, but does not prove that the Ugaritic and/or the Phoenician script derived from the proto-Canaanite/Synaitic signs). Out of the many known Bronze Age signs, only a few are vaguely similar to some Phoenician characters (see pages 135-137 of the book). Nevertheless, those Ministers of faith do not explain how the proto-Canaanite/Synaitic signs would have evolved into the Ugaritic script and, later on, into the Phoenician script: they pretend this should be an ‘act of faith’. The Levantine scripts were always pictographic, as also proved by their supposed acrophonic derivation. The European scripts were symbolic thousands of years before any pictographic script appeared. Writing is the symbolic (and only the symbolic) representation of speech. BS). Caveat: continuing studying the Ugaritic literature, could lead to the conclusion that the christian monoteism derived from the Pannonico essentially monoteistic faith, (as it appears to be both in Europe and Central Asia (Mother Goddess, Sun Goddess, Sky God) – see the book ‘Honfoglalas, the Magyars are back home’). Besides, the ‘Virgin Mother’ was a Phoenician heritage (Tanit, the ‘Virgin Mother’ of the Punics of Karthago). The resurrection belonged to the Egyptian mythology (Osiris). Ishtar and Inanna… The Pannonici could have brought to Phoenicia not only their alphabet, but also their religion, and their conical hat, which became the Lebade’. PLEASE, if you quote my work, please do not label me as a linguist. I consider that title an offence… and I get furious if somebody calls me ‘linguist’! ISBN 88-95025-07-5 (978-88-95025-07-7), 168 pages, including 63 black and white tables (46 of which have been compiled by scholars and are used as foundation of the research). (IMPORTANT NOTE: No letter, (except two), has been reconstructed in my book. The letters of the reconstructed alphabets did exist, graphically identical, in alphabets tightly connected to the reconstructed ones, and they are taken from one of the following sources). Prifysgol Cymru, University of Wales, U.K.
‘The Blackwell Encyclopedia of Writing Systems’, F. Coulmas, U.K.
Key words: Ugaritic abjad, Ugaritic script, Ugaritic alphabet, Ugaritic writing, Ugarit, Magyar rovas, rovasiras, Old hungarian script, Old Hungarian writing, Germanic runes, Futhark, young Futhark, Futhork, Viking runes, history of the alphabet, proto-Canaanite, proto-Synaitic, non-Chinese scripts in China, Kaganga script, Yi script, Nü Shu sillabary, Phoenician abjad, Phoenician script, Phoenician alphabet, Phoenician writing, Etruscan alphabet, Greek alphabet, Esik, Camuni alphabet, Veio alphabet, Marsiliana alphabet, Lemnos script, secret script.